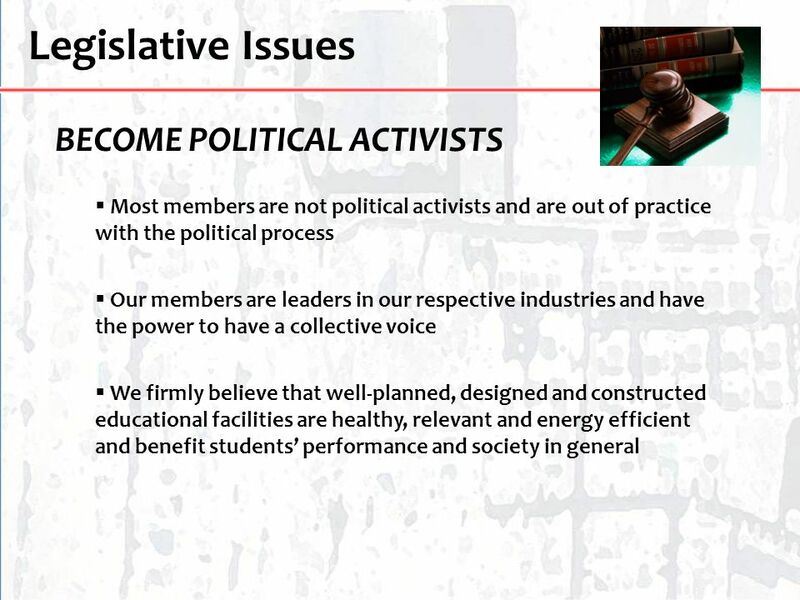 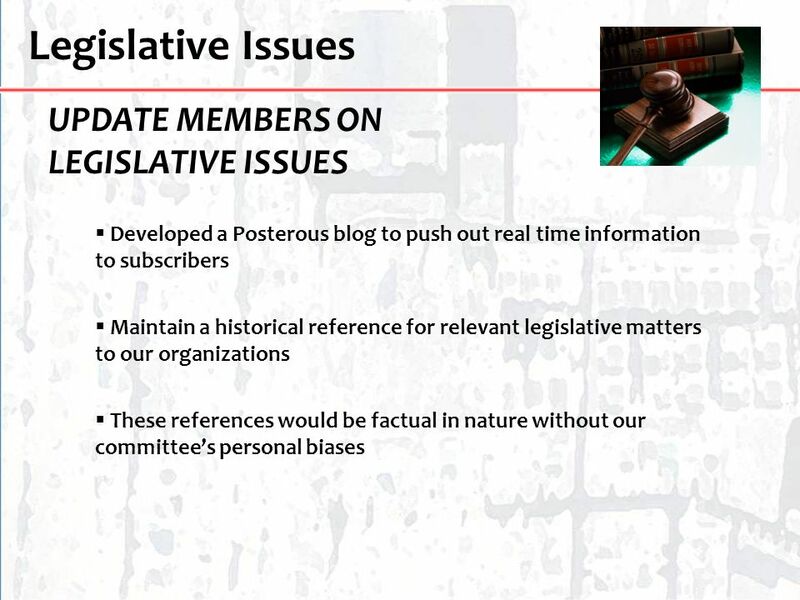 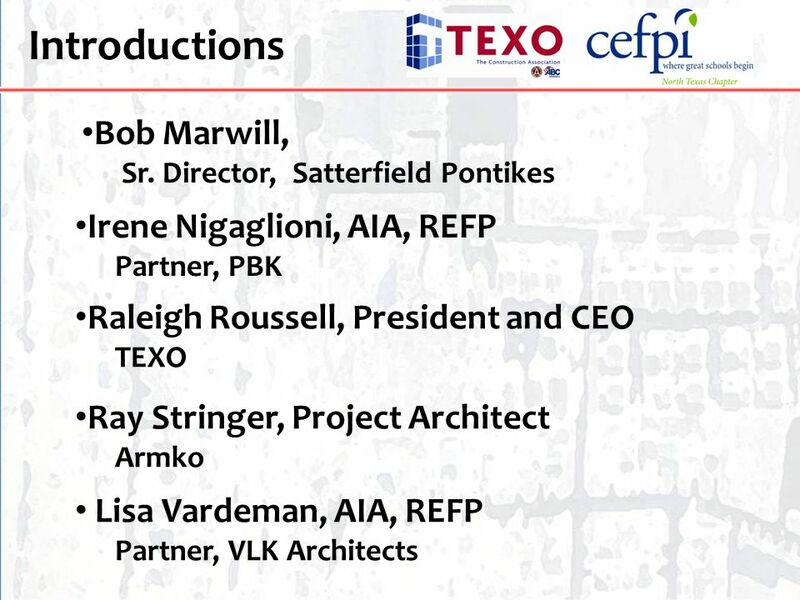 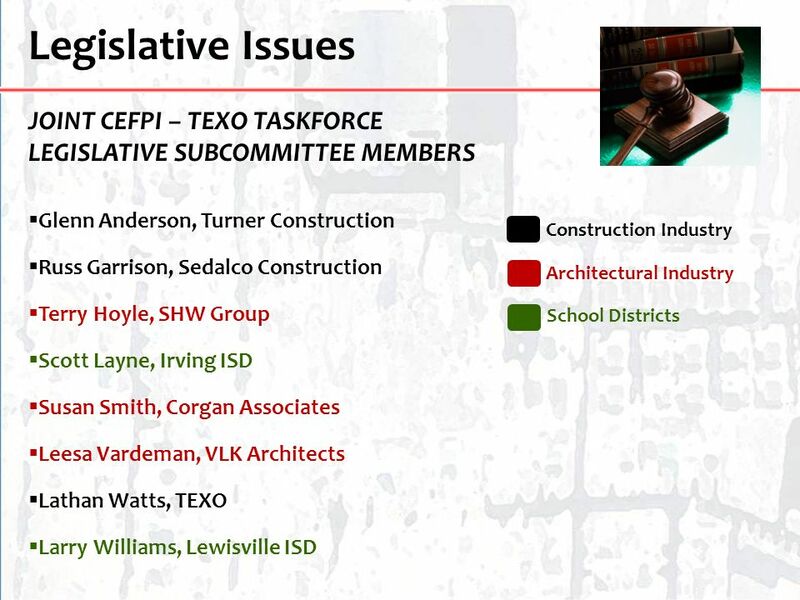 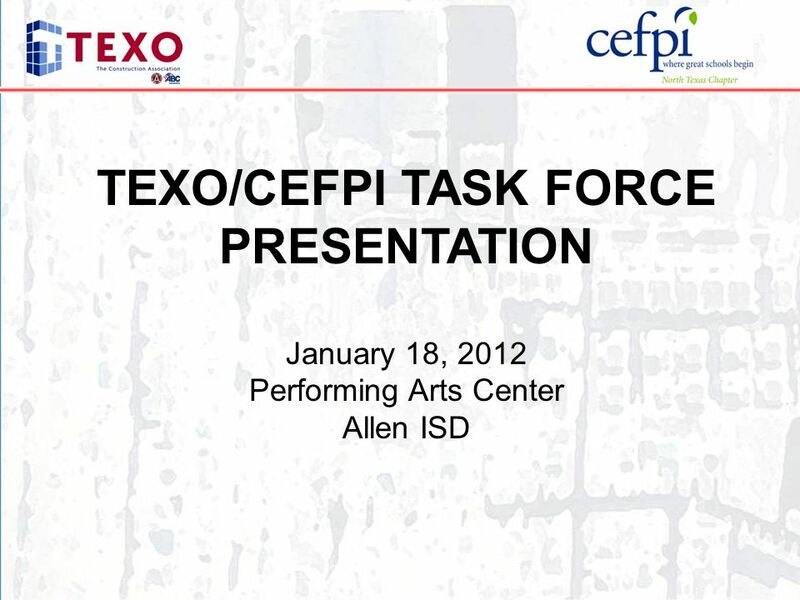 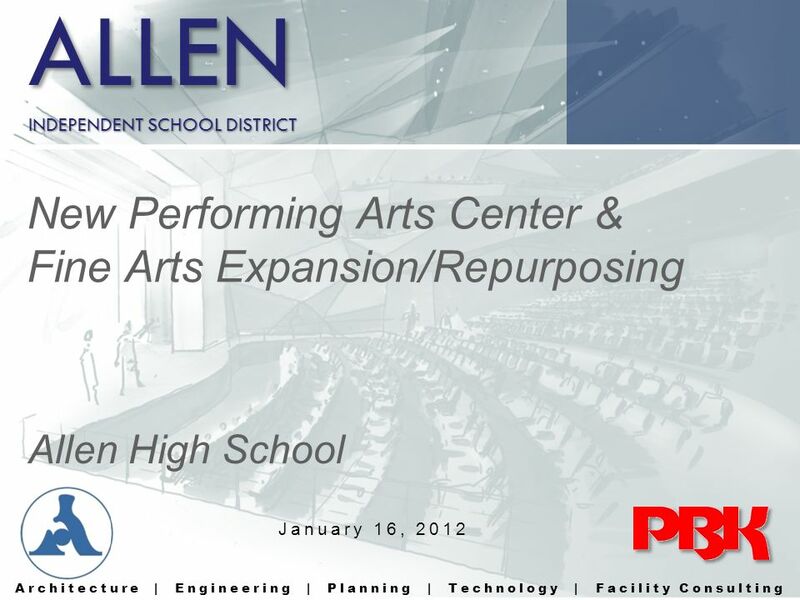 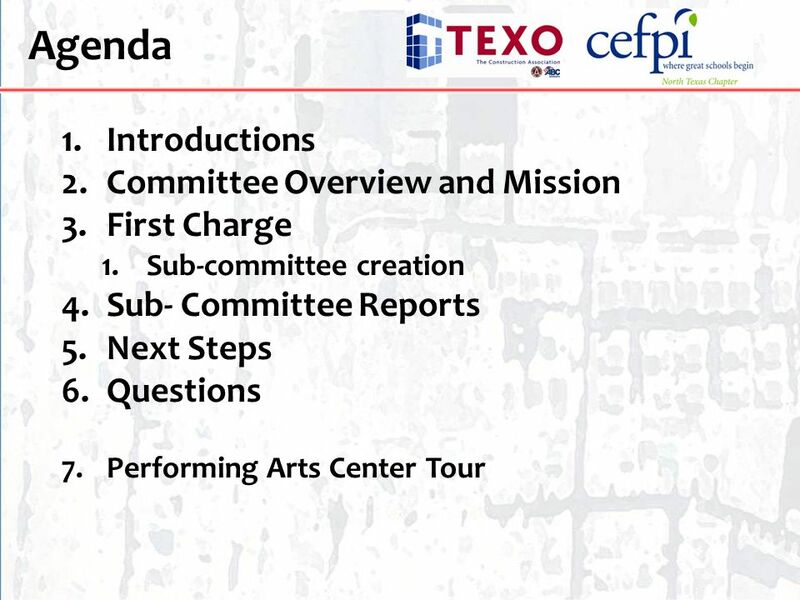 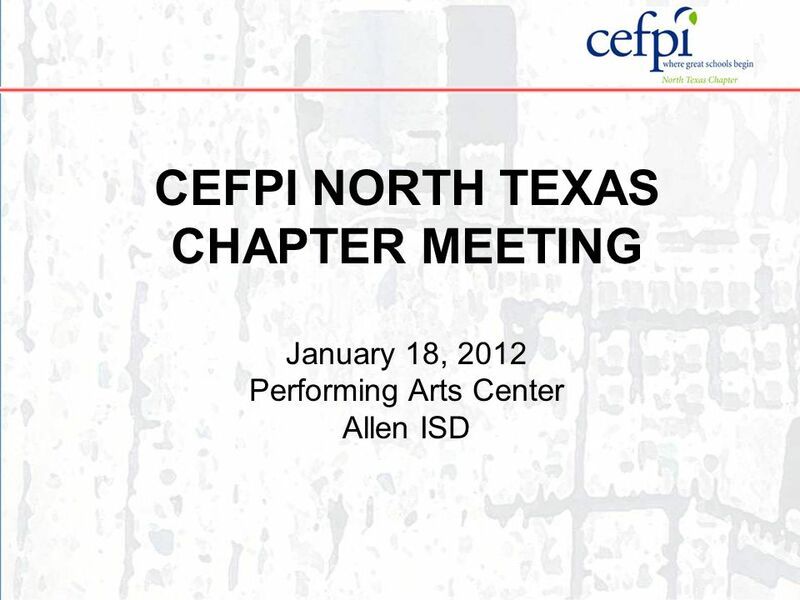 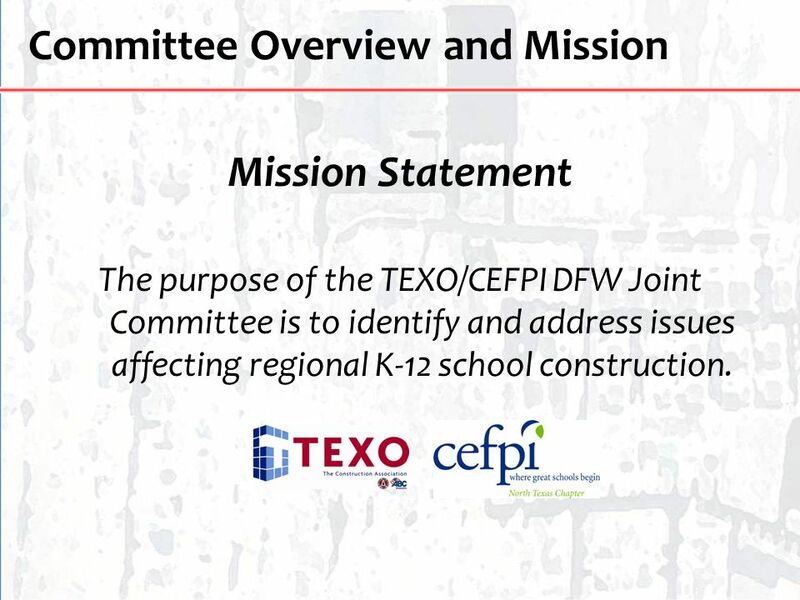 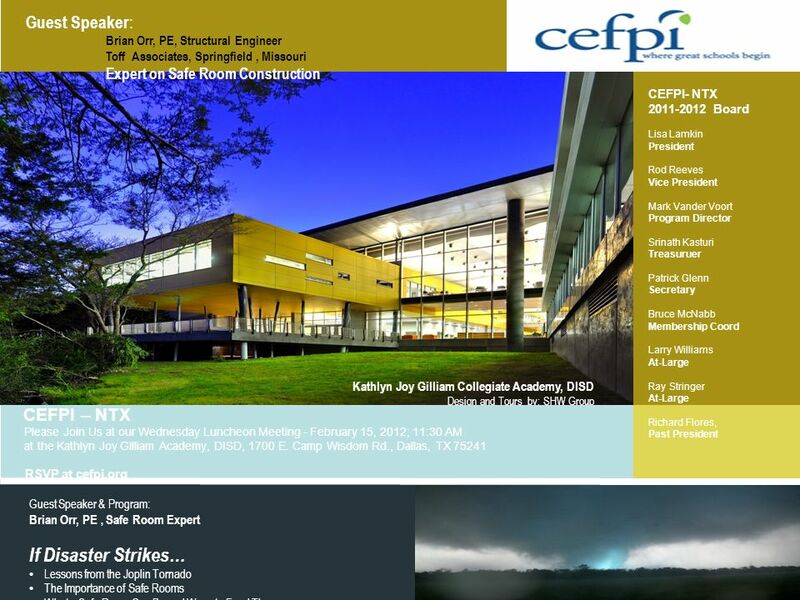 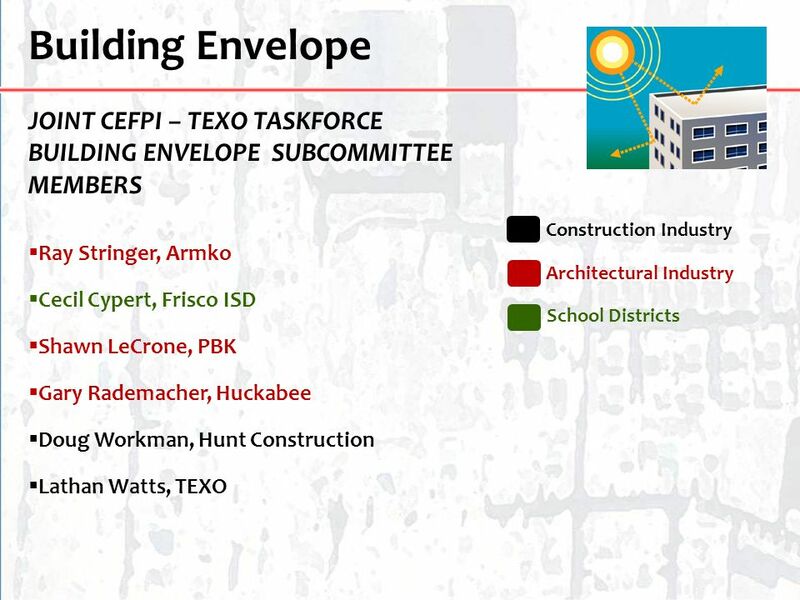 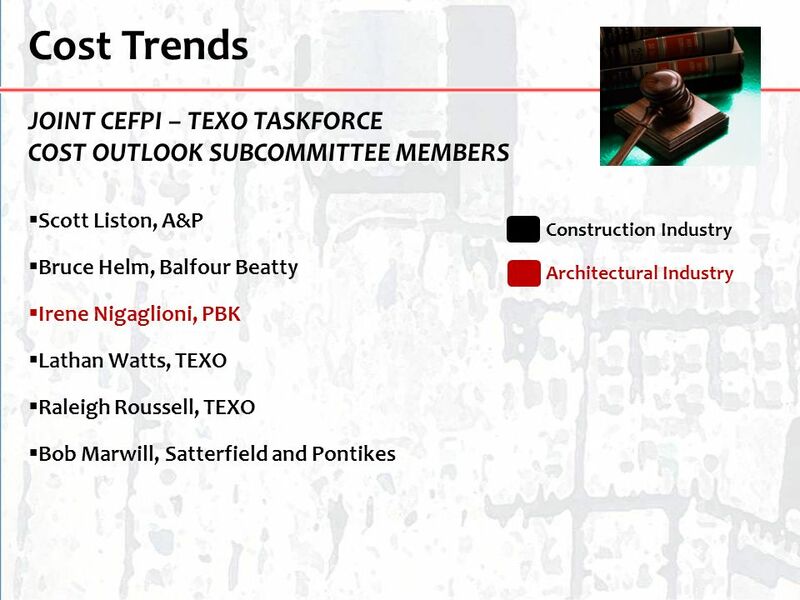 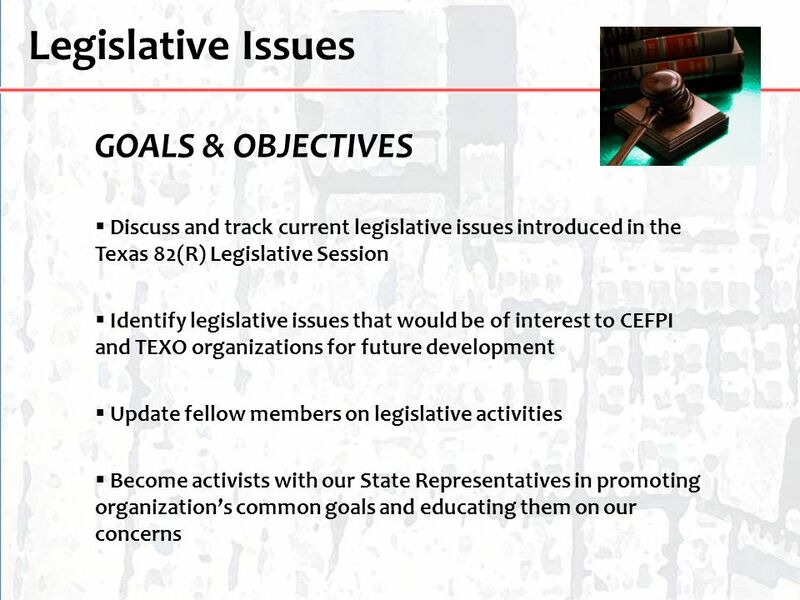 Mission Statement The purpose of the TEXO/CEFPI DFW Joint Committee is to identify and address issues affecting regional K-12 school construction. 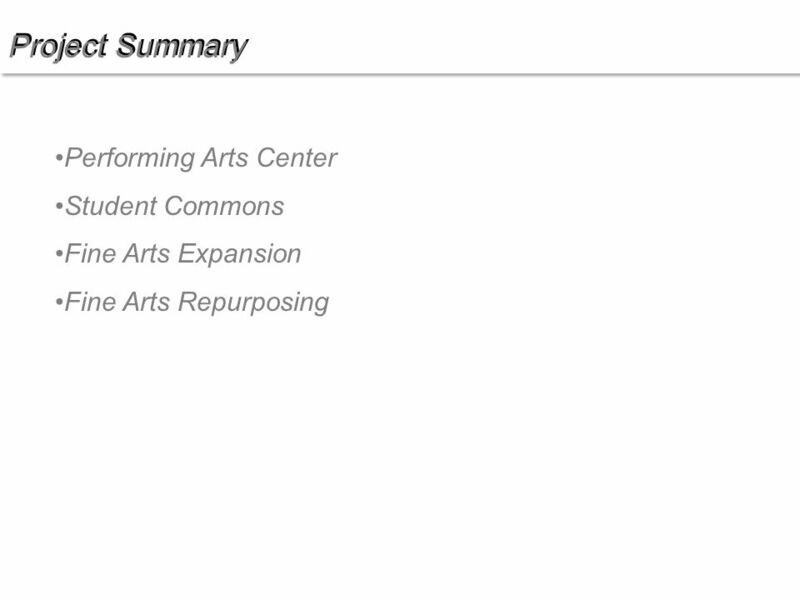 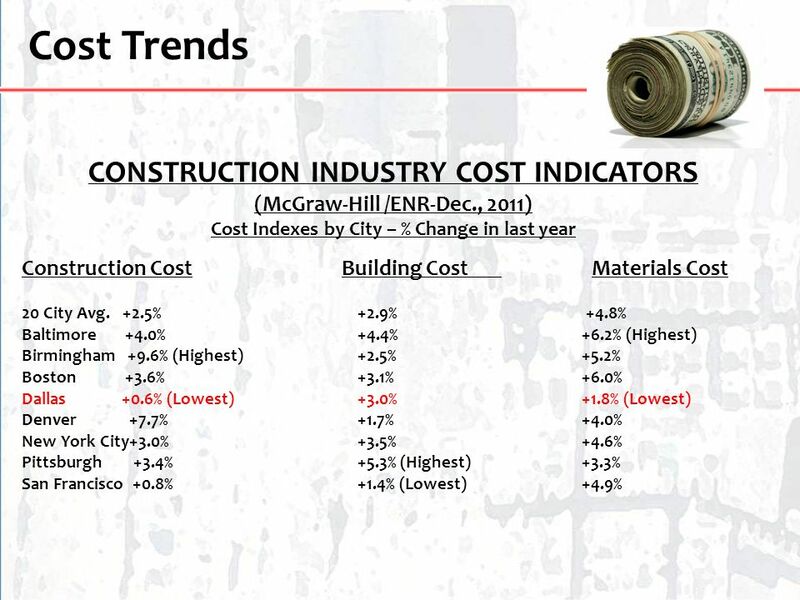 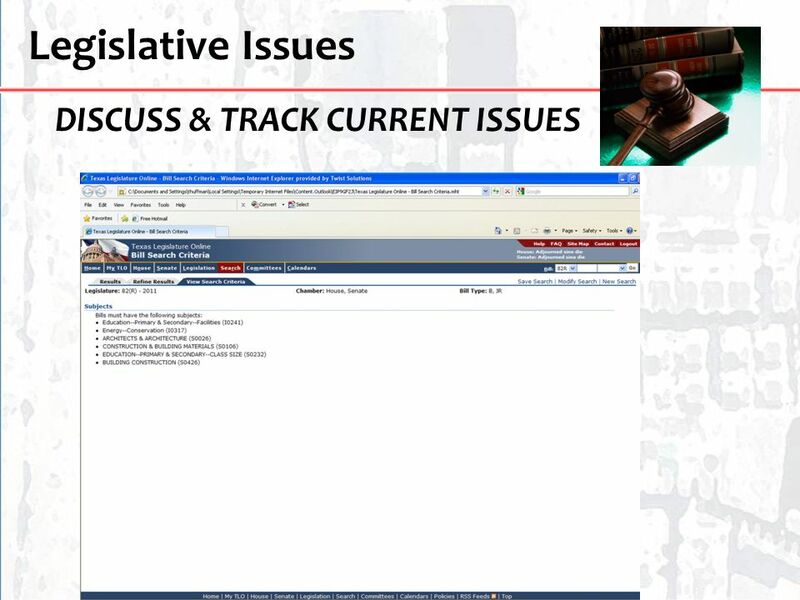 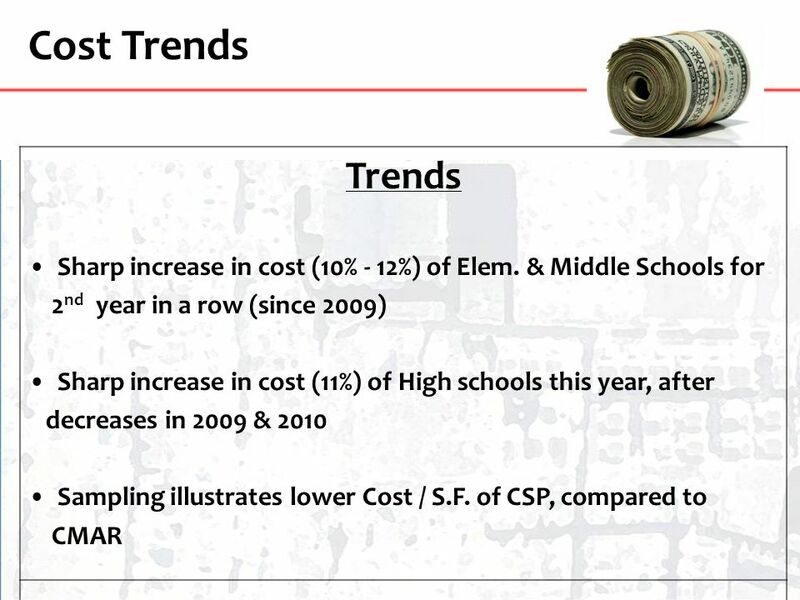 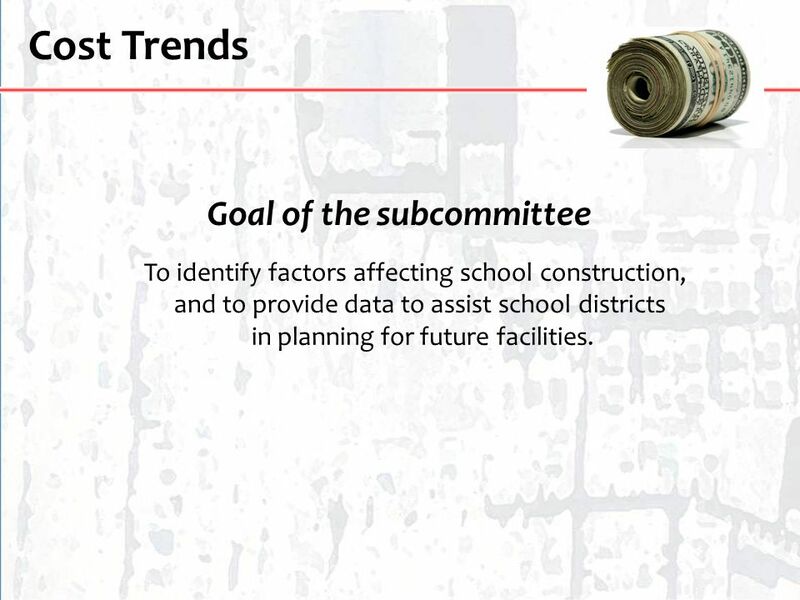 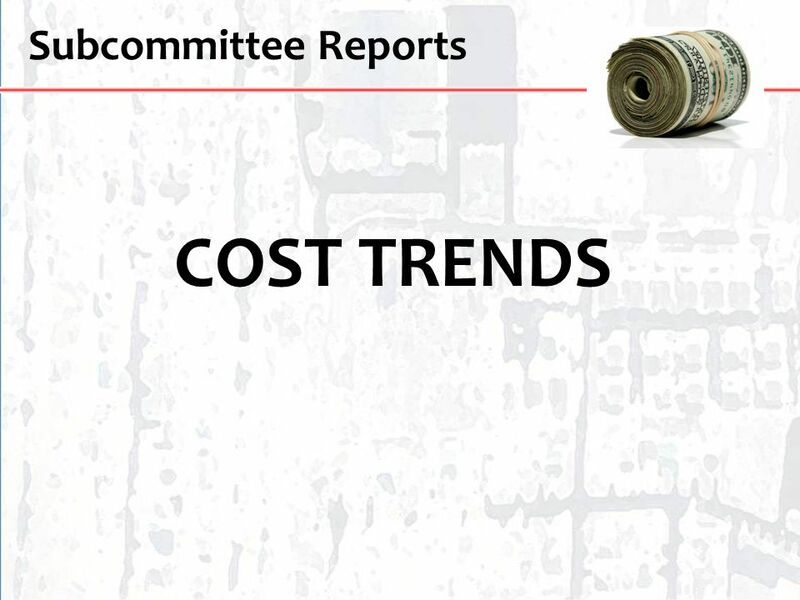 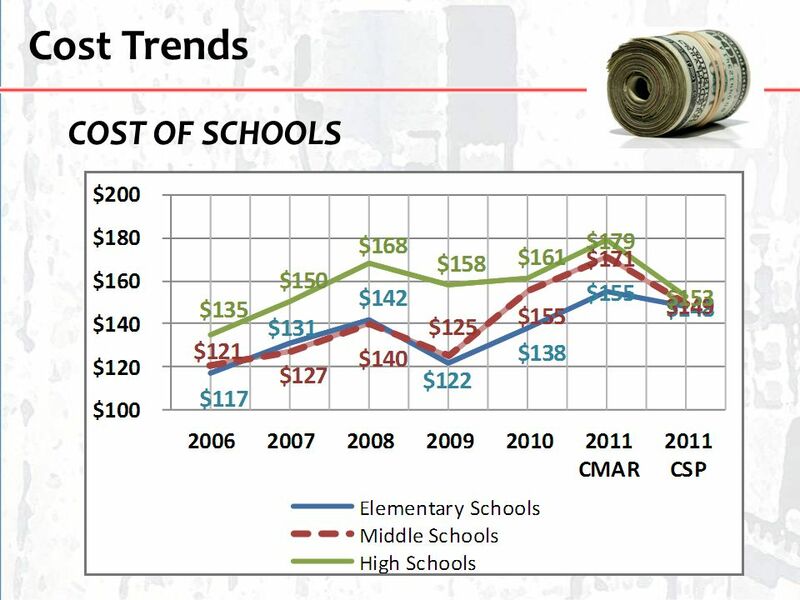 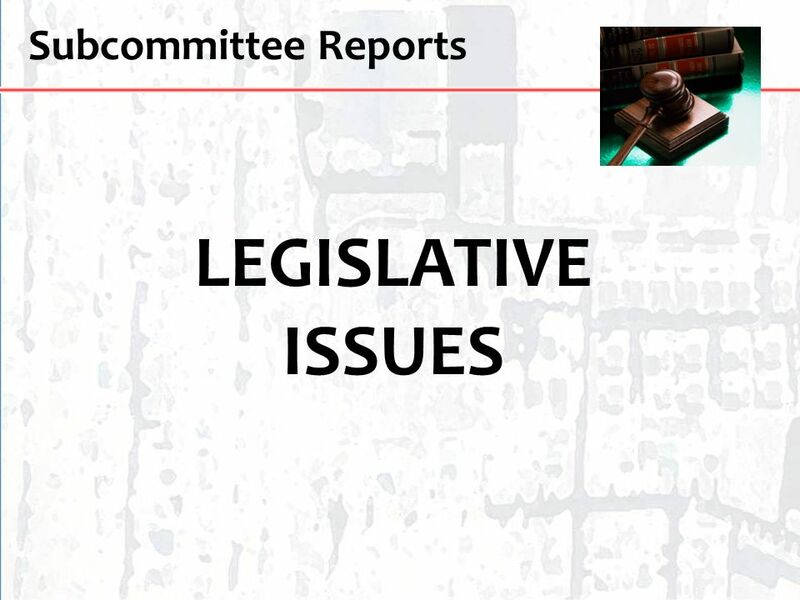 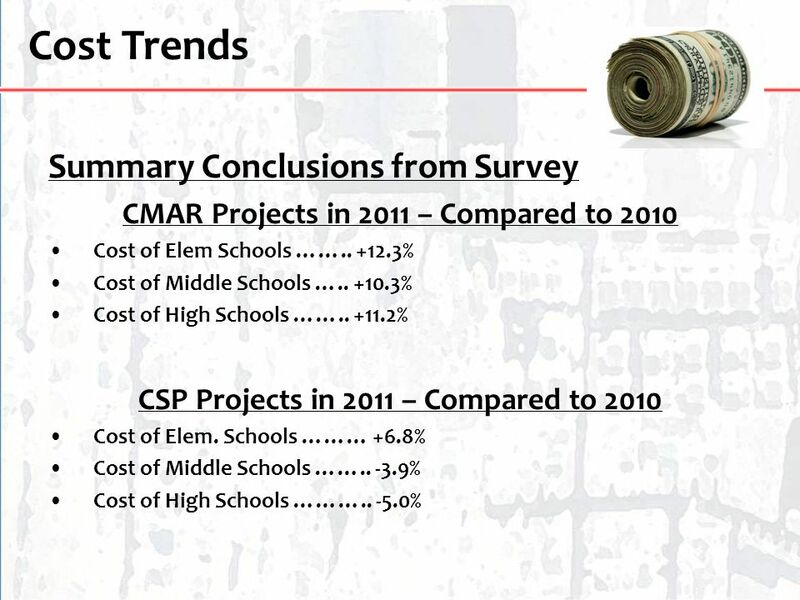 Cost Trends Goal of the subcommittee To identify factors affecting school construction, and to provide data to assist school districts in planning for future facilities. 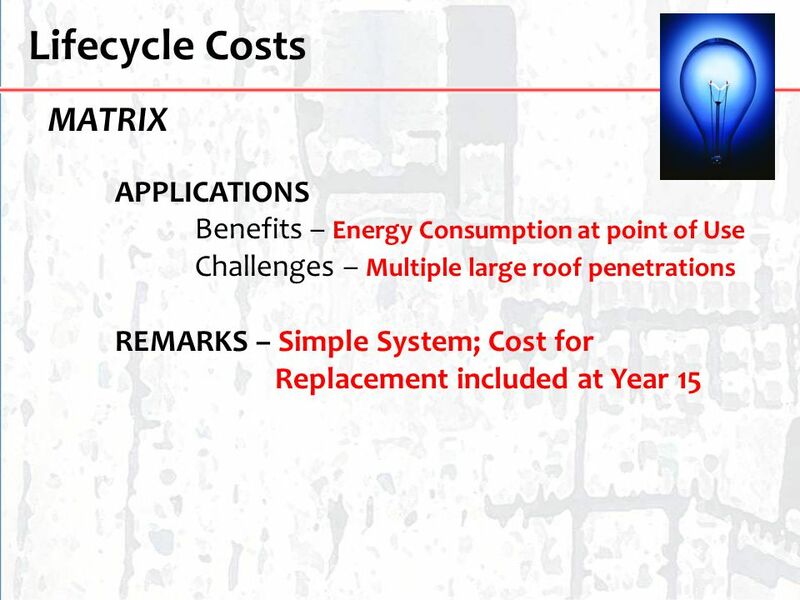 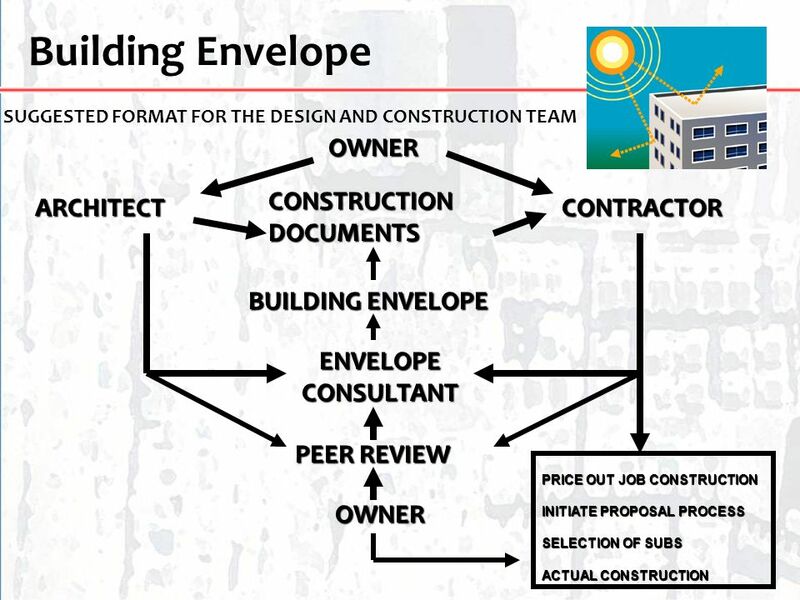 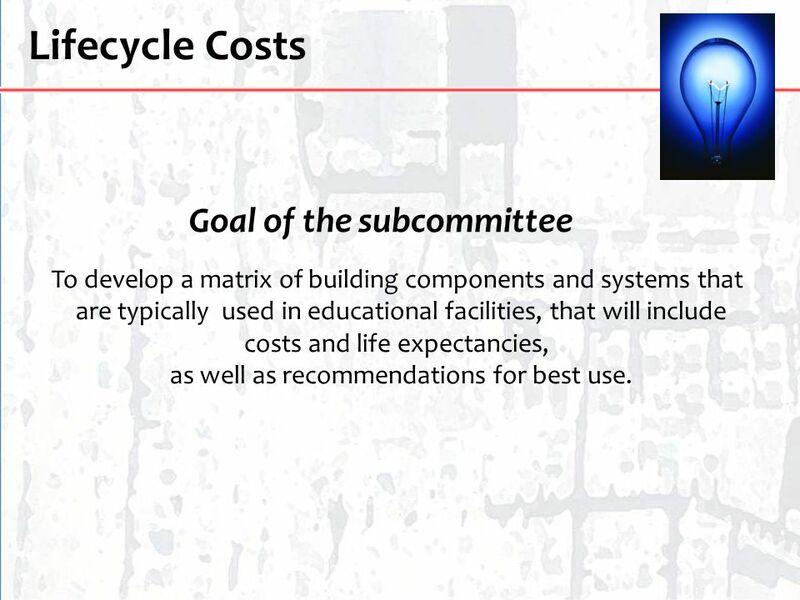 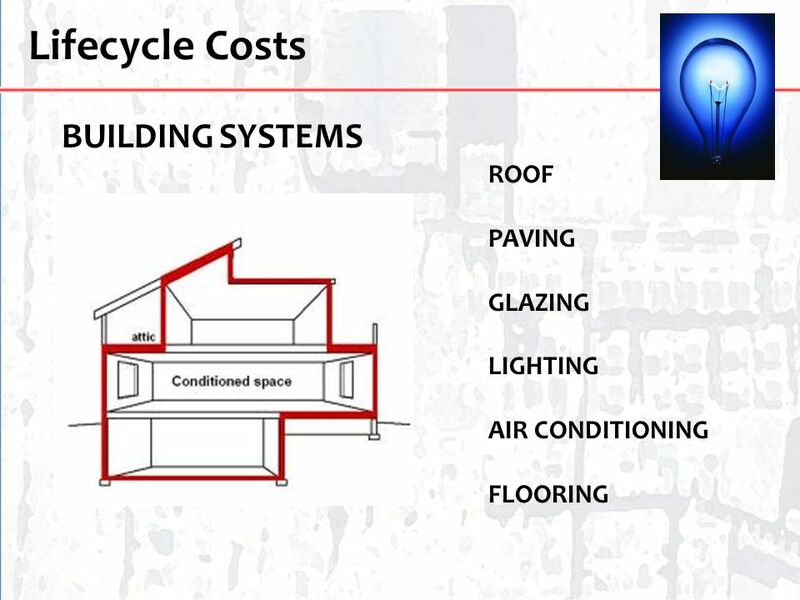 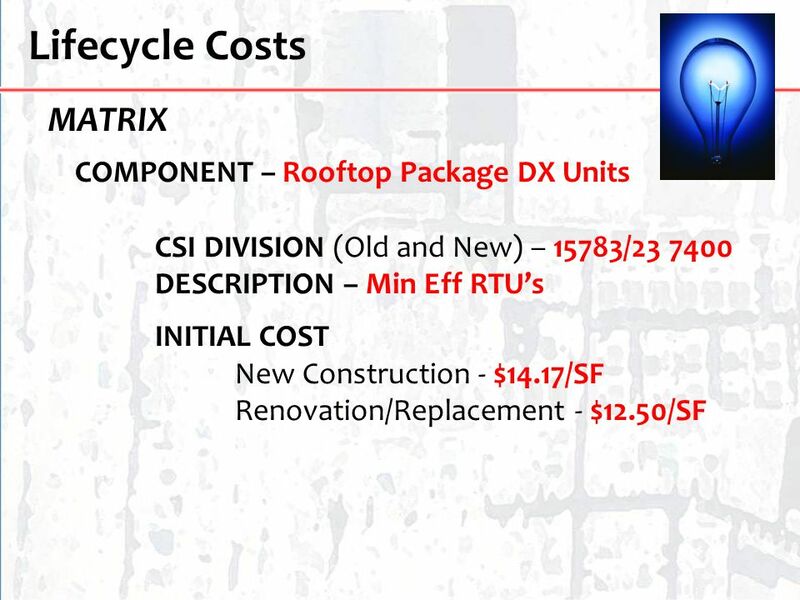 Lifecycle Costs Goal of the subcommittee To develop a matrix of building components and systems that are typically used in educational facilities, that will include costs and life expectancies, as well as recommendations for best use. 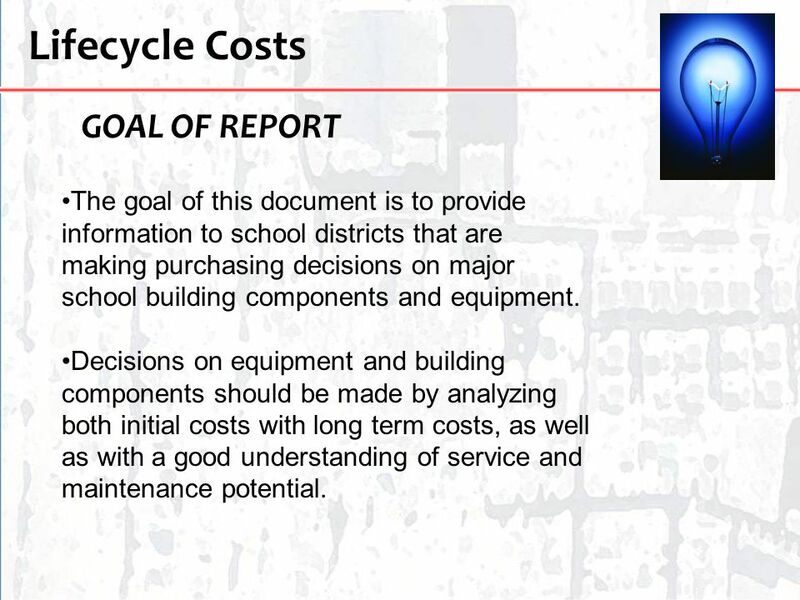 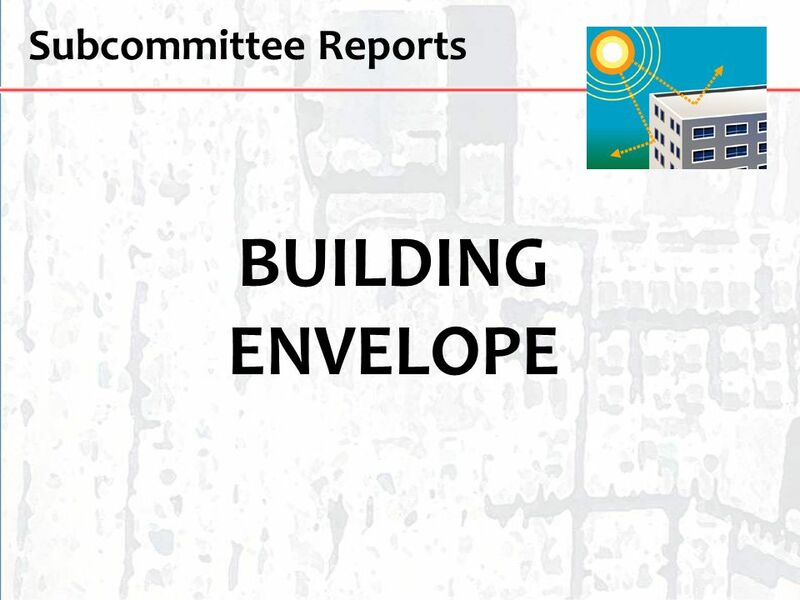 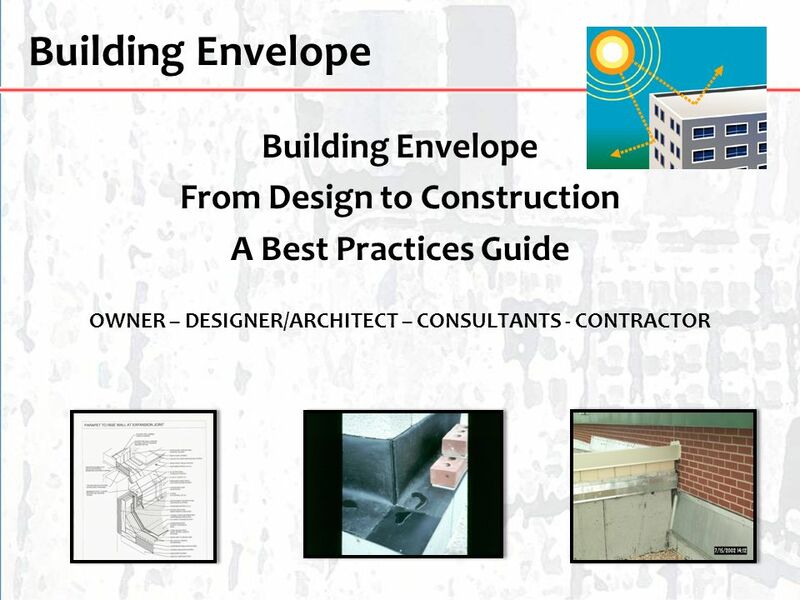 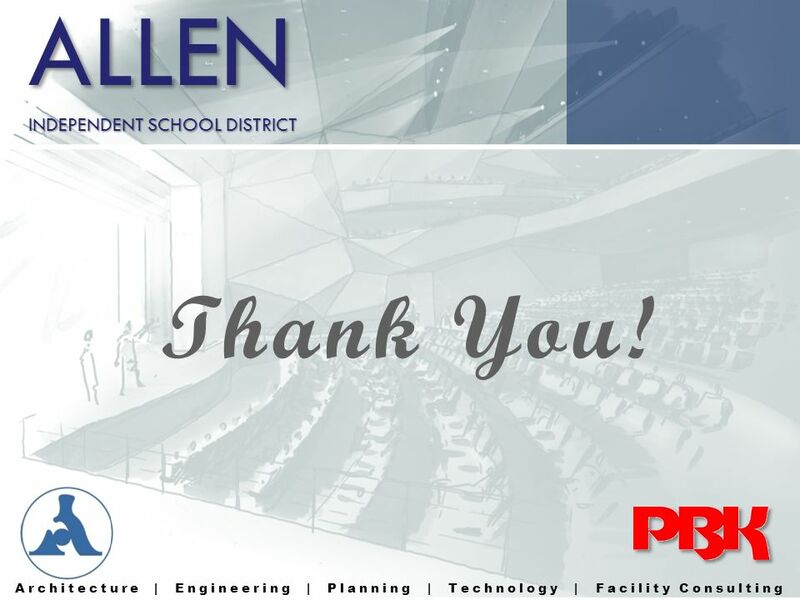 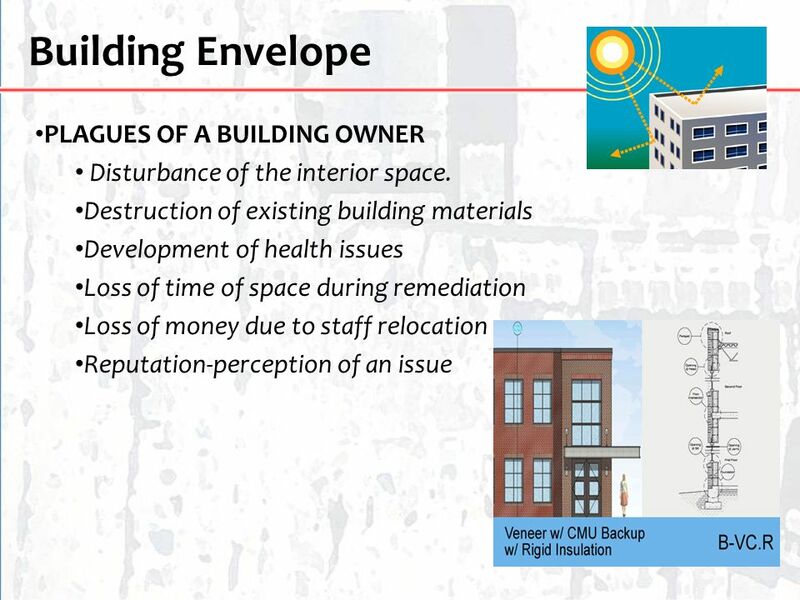 The goal of this document is to provide information to school districts that are making purchasing decisions on major school building components and equipment. 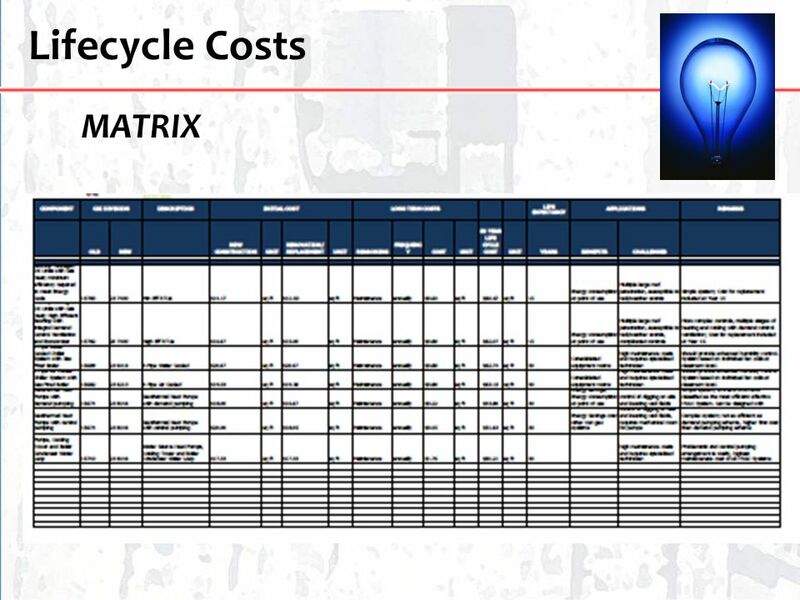 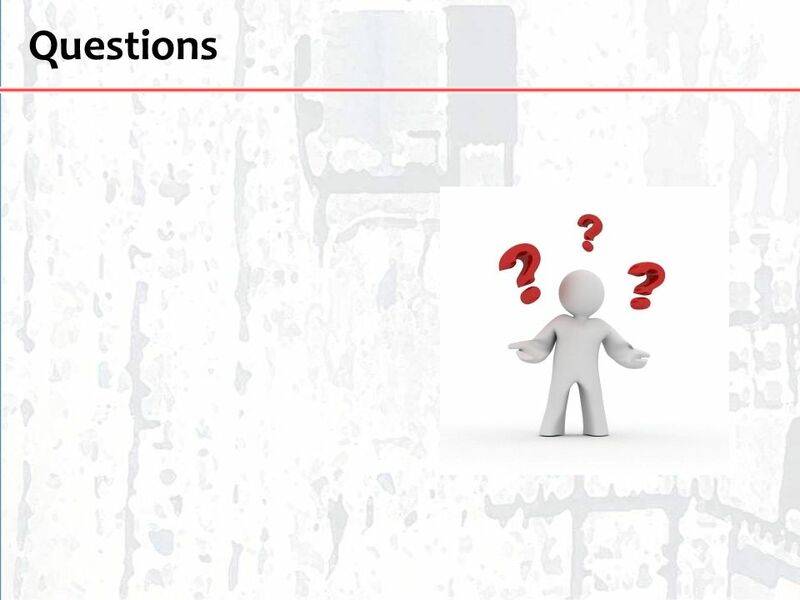 Decisions on equipment and building components should be made by analyzing both initial costs with long term costs, as well as with a good understanding of service and maintenance potential. 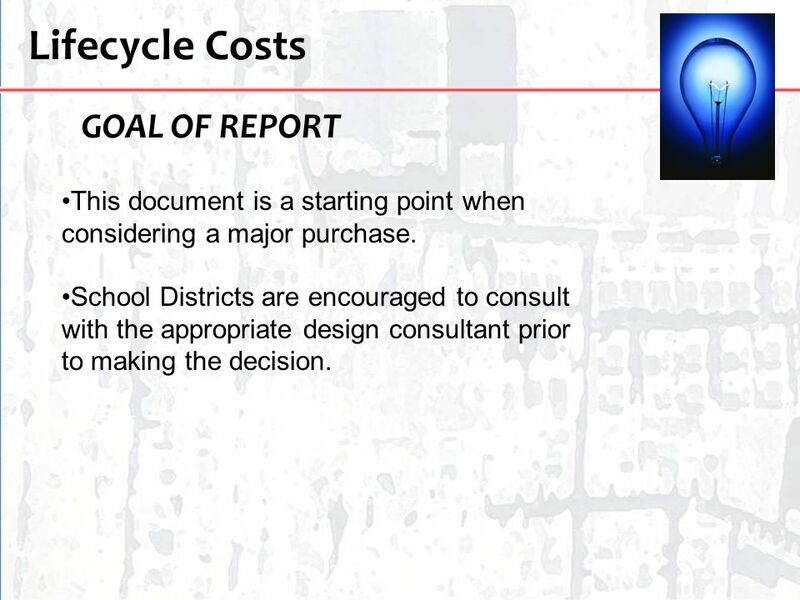 This document is a starting point when considering a major purchase. 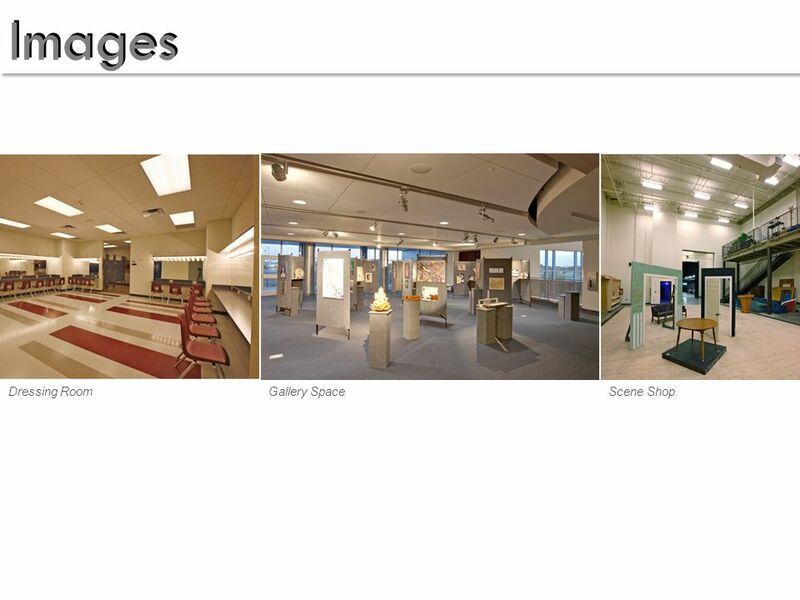 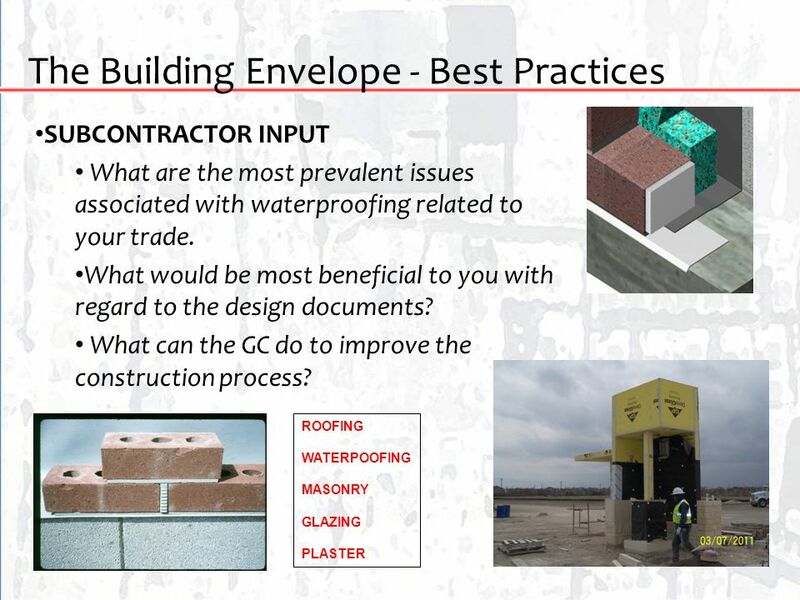 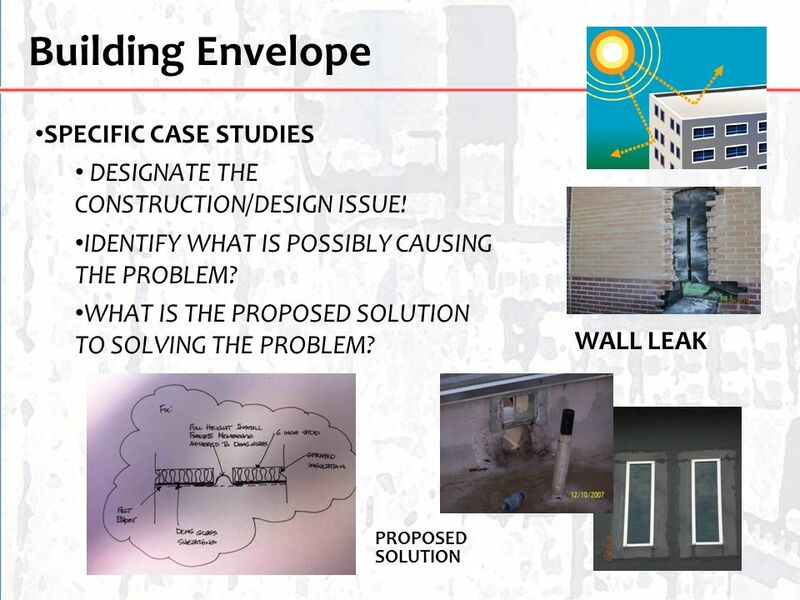 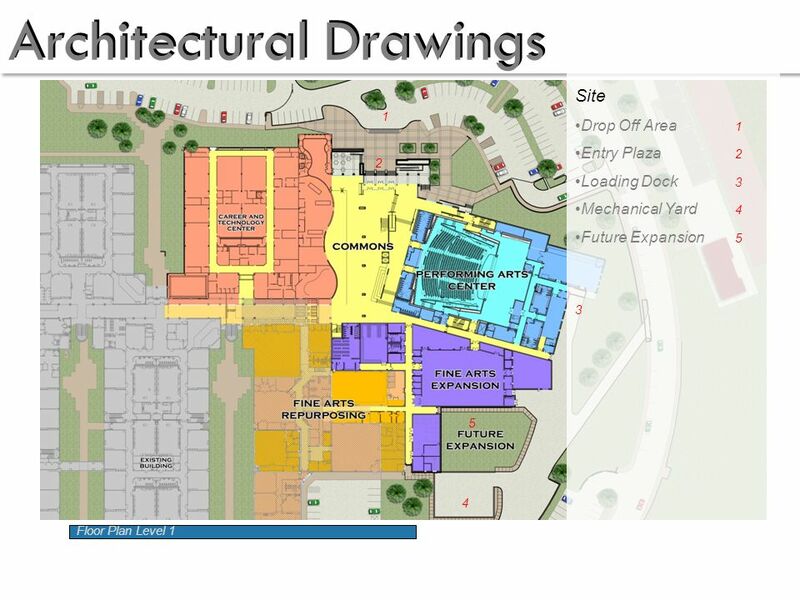 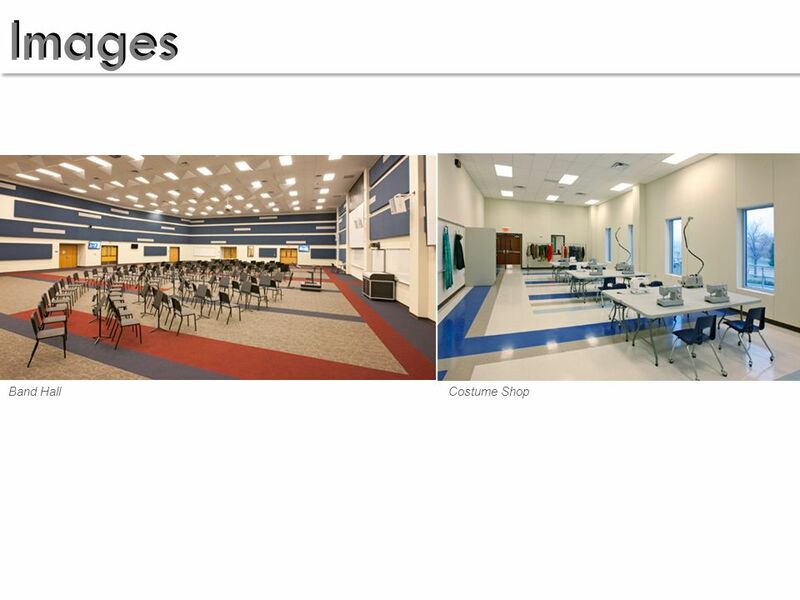 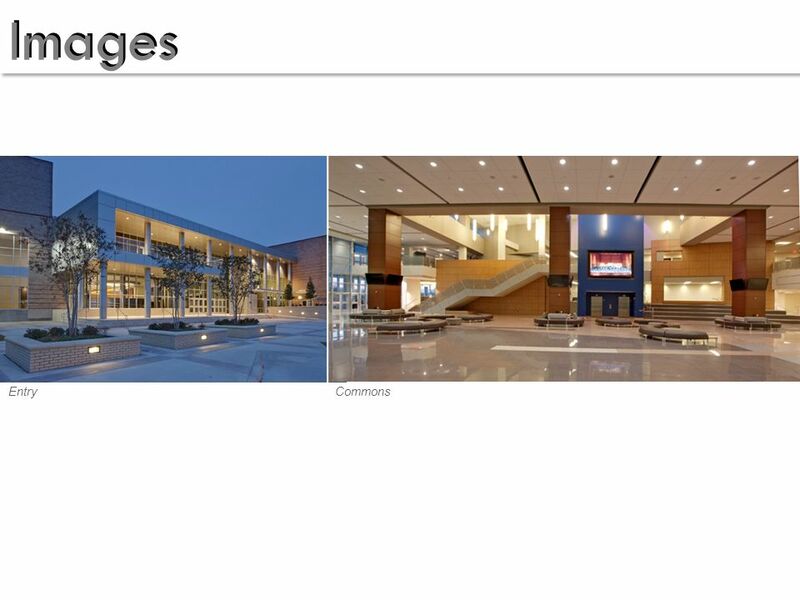 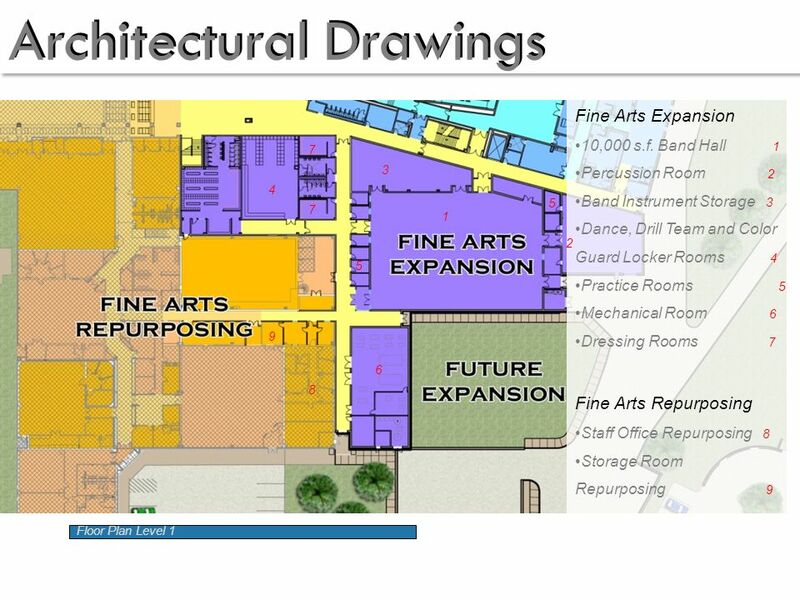 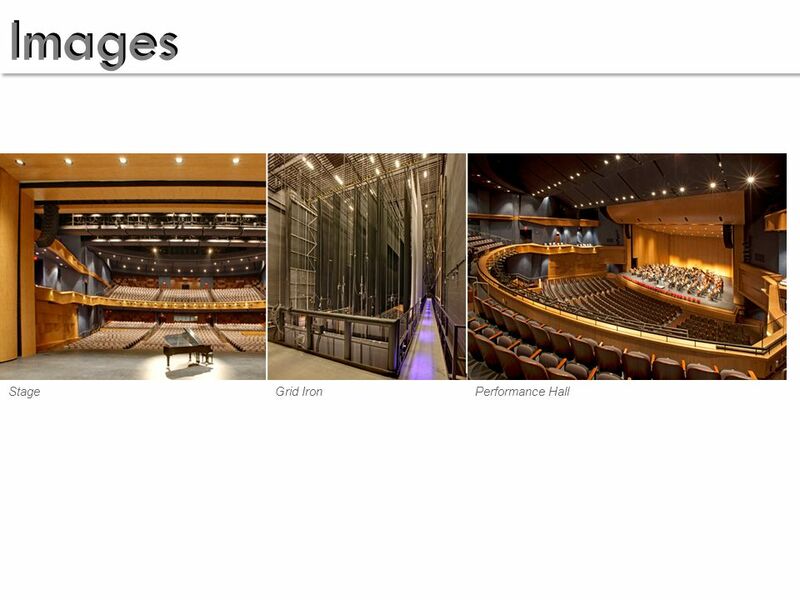 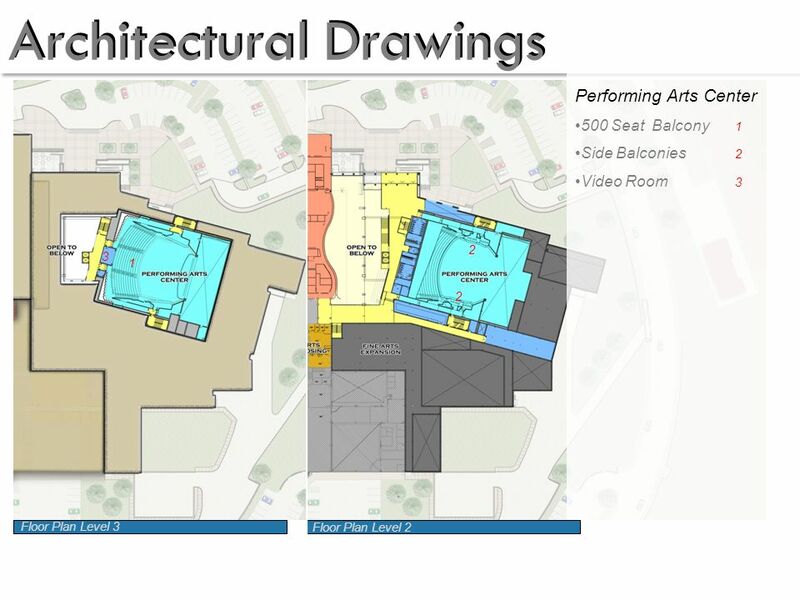 School Districts are encouraged to consult with the appropriate design consultant prior to making the decision. 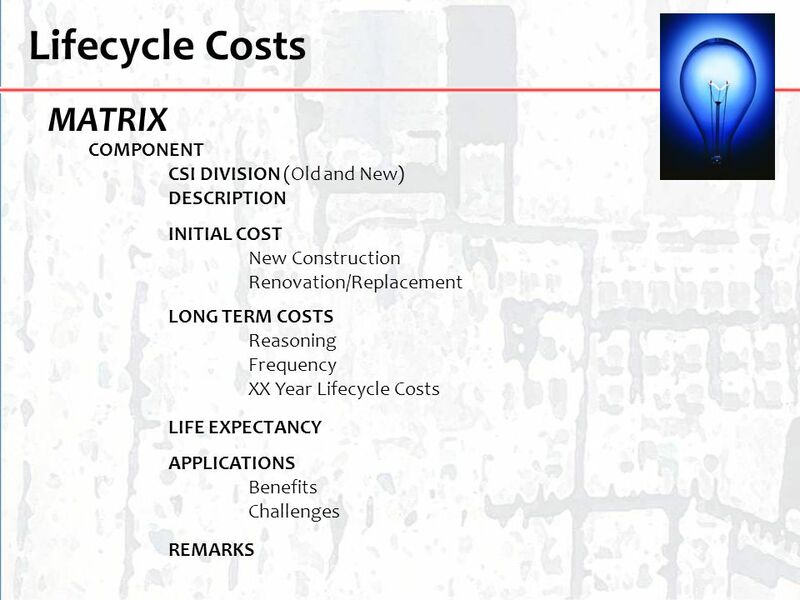 Selection of system type typically is driven by prior experience and costs. 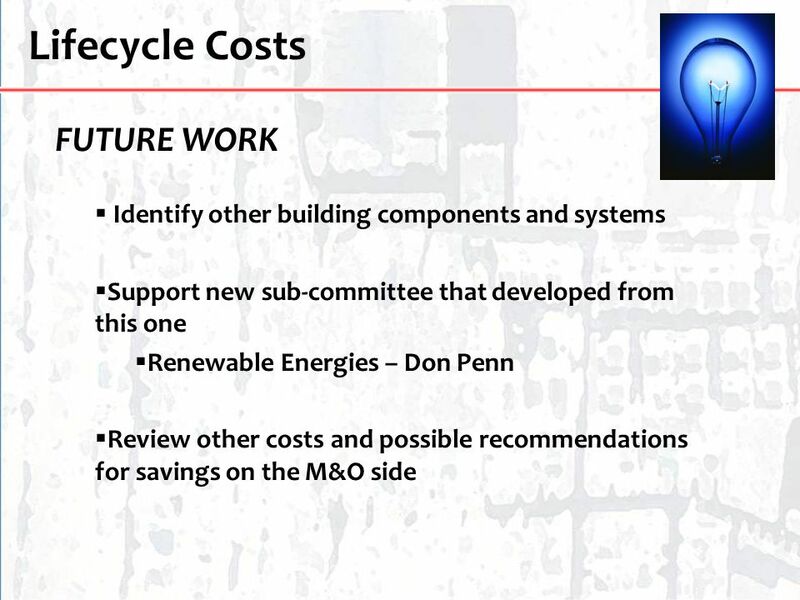 With the advent of LEED, adoption of Energy Codes and media driven exposure, the use of the more renewable technologies are being explored. 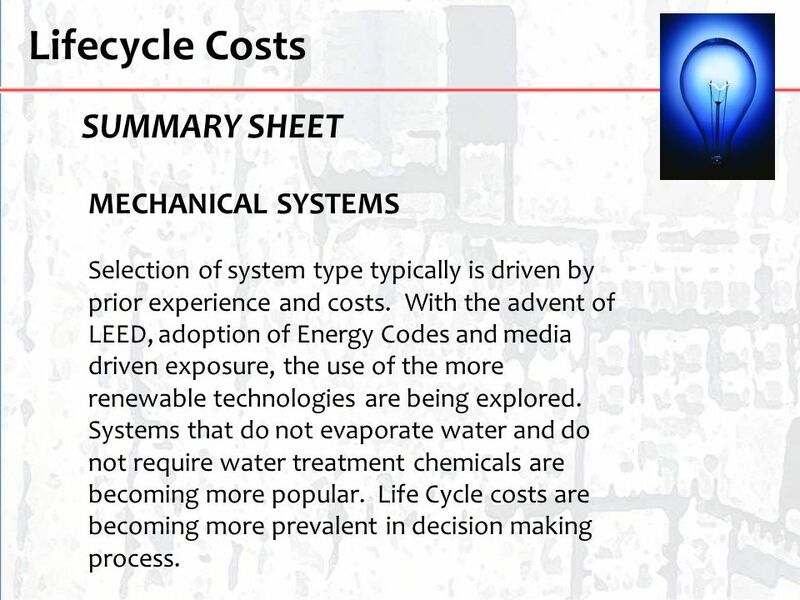 Systems that do not evaporate water and do not require water treatment chemicals are becoming more popular. 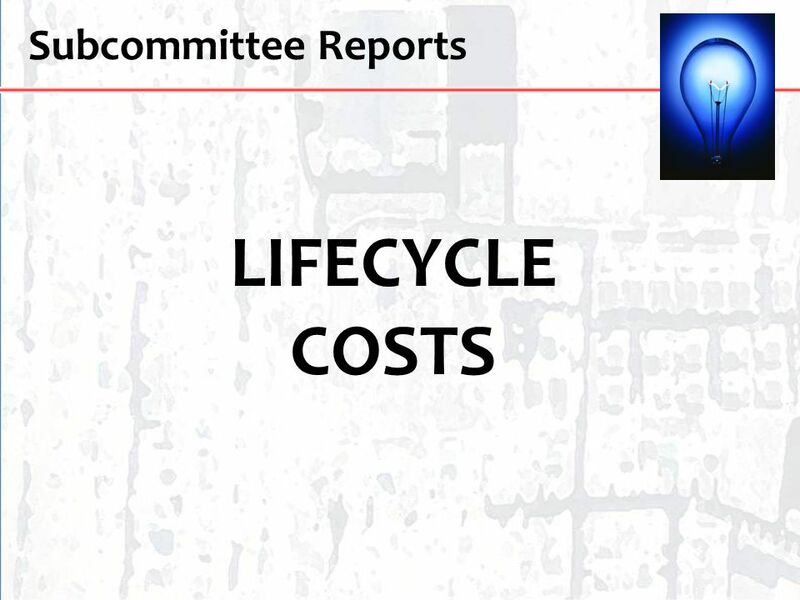 Life Cycle costs are becoming more prevalent in decision making process. 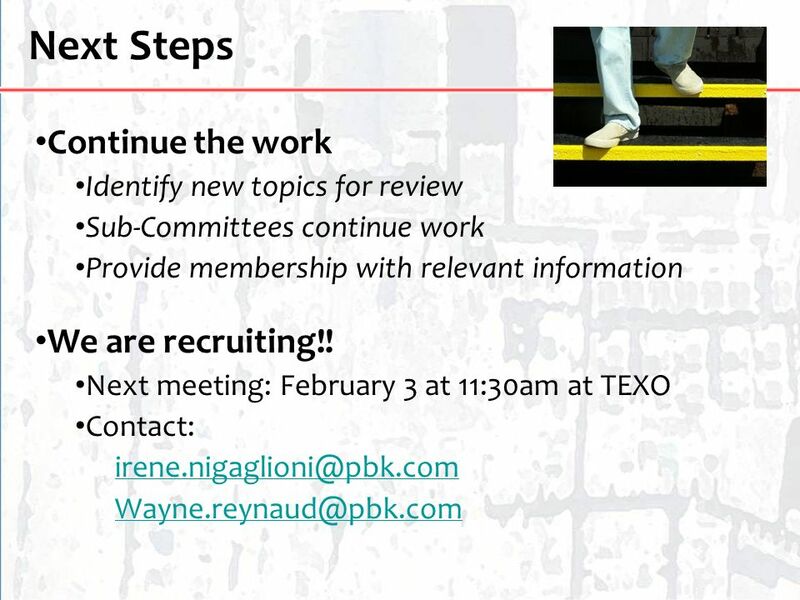 46 Next Steps Continue the work We are recruiting!! 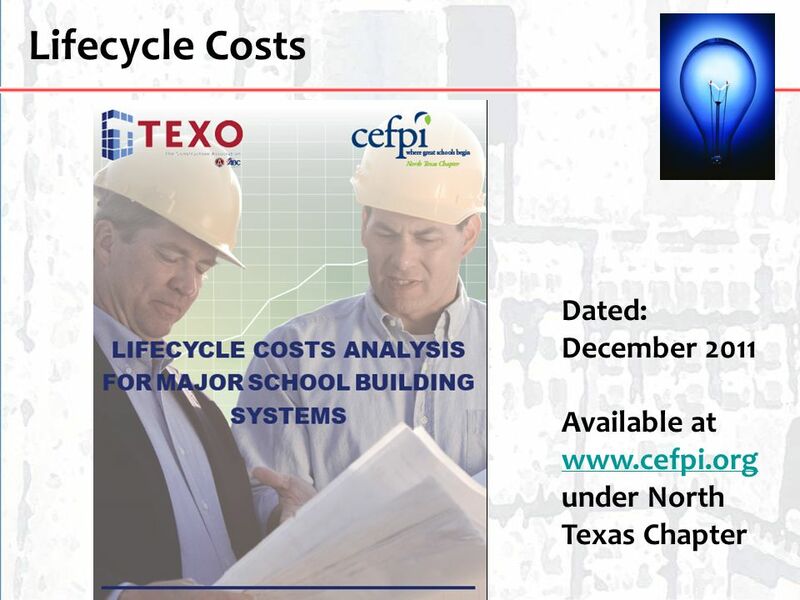 Download ppt "If Disaster Strikes… Guest Speaker: CEFPI – NTX"
ASTM International Officers Training Workshop September 2012 Pat Picariello, Director, Developmental Operations 1 Strategic Planning & New Activity Development. 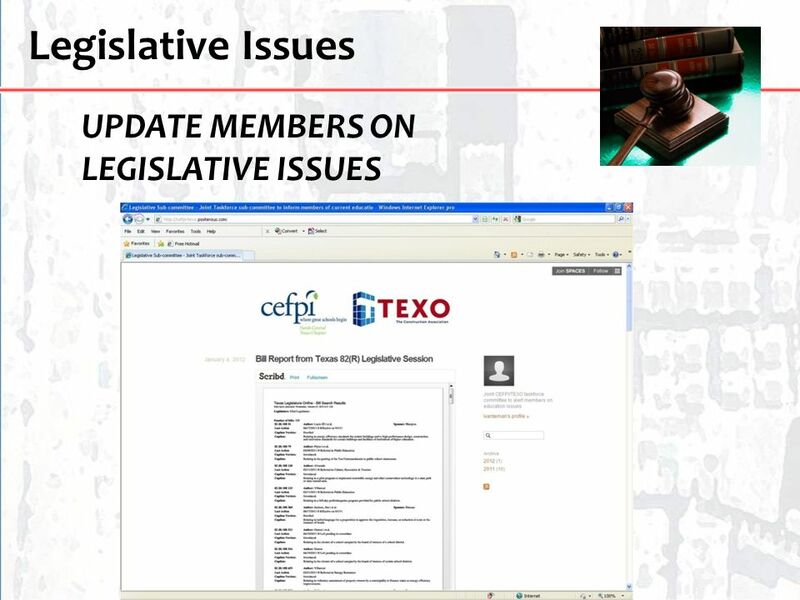 September 2013 ASTM Officers Training Workshop September 2013 ASTM Officers Training Workshop Strategic Planning & New Activity Development September 2013. 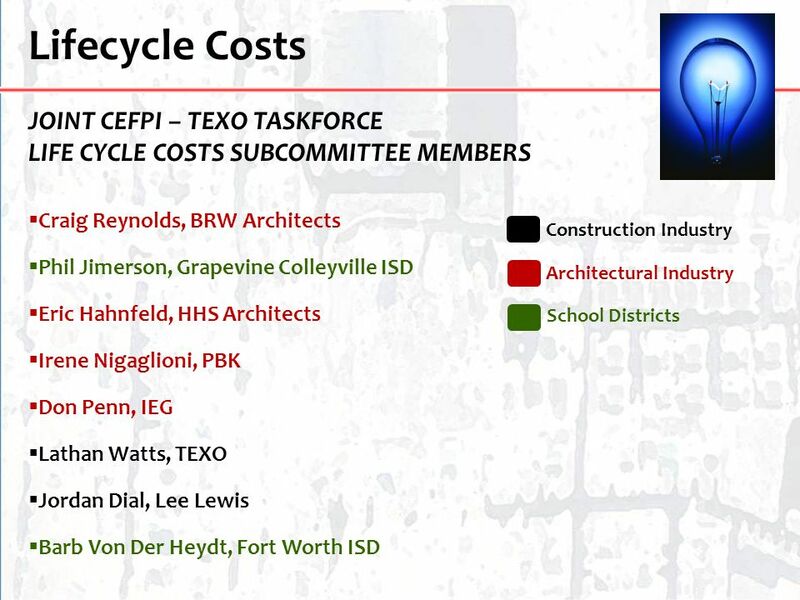 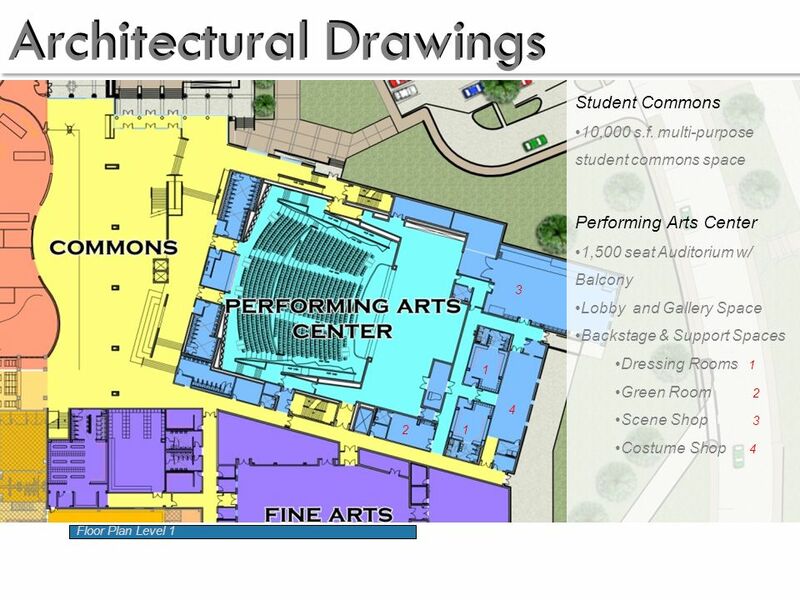 Texas Green Schools … More than just a passing trend C. Denise Shaw, AIA LEED AP Pfluger Associates Architects, Inc. CEFPI. 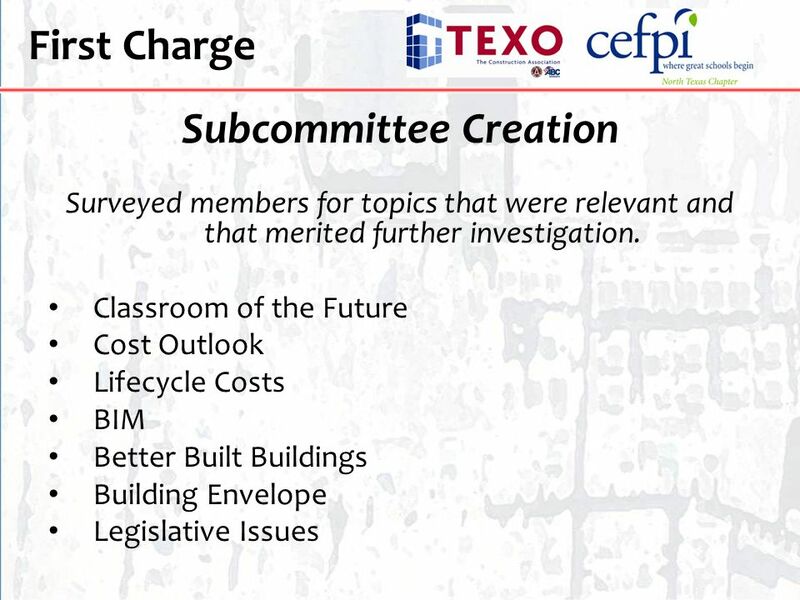 1 OVERVIEW Sierra Club – US Green Building Council Partnership Green Building Campaign Checklist Lead by Example Planning for Green Building Tour (Next.